‘If one needs a shining example of why the days of Europe’s artificial currency are numbered, look no further than the EU’s poorest country which moments ago said “Ne Mersi” to the Eurozone and the European currency. From the WSJ: “Bulgaria, the European Union’s poorest member state and a rare fiscal bright spot for the bloc, has indefinitely frozen long-held plans to adopt the single currency, marking the latest fiscally prudent country to cool its enthusiasm for the embattled currency. ‘Why are Greece, Spain, Italy, Portugal and so many other countries experiencing depression-like conditions right now? It is because they have too much debt. Why do they have too much debt? It is because they allowed themselves to become enslaved to the bankers. Borrowing money from the bankers can allow a nation to have a higher standard of living in the short-term, but it always results in a lower standard of living in the long-term. Why is that? It is because you always have to pay back more money than you borrowed. And when you get to the point of having a debt to GDP ratio in excess of 100%, you are basically drowning in debt. Huge amounts of money that could be going to providing essential services and stimulating your economy are now going to service your horrific debt. Today, citizens in Greece, Spain, Portugal and Italy are experiencing a standard of living far below what they should be because the bankers have trapped them in endless debt spirals. ‘A record number of radioactive particles have been found on beaches near the Sellafield nuclear plant, in North West England. The authorities who run it admit it’s the most radioactive place in Western Europe but insist it’s safe, Russia Today reported. 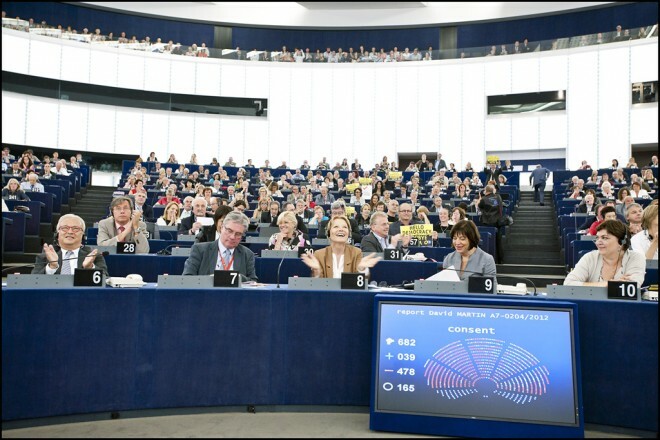 The European Parliament on Wednesday declared its independence from a controversial global anti-piracy accord, rejecting the Anti-Counterfeiting Trade Agreement. The vote, 478-39, means the deal won’t come into effect in European Union-member nations, and effectively means ACTA is dead. Its fate was also uncertain in the United States. Despite the Obama administration signing its intent to honor the deal last year, there was a looming constitutional showdown on whether Congress, not the administration, held the power to sign on to ACTA. Overall, not a single nation has ratified ACTA, although Australia, Canada, Japan, Morocco, New Zealand, Singapore and South Korea last year signed their intent to do so. The European Union, Mexico and Switzerland, the only other governments participating in ACTA’s creation, had not signed their intent to honor the plan.